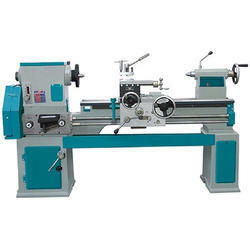 Prominent & Leading Exporter from Rajkot, we offer precision lathes and center lathe machine. We are manufacturer of all type of Centre Lathe Machine. Such as Light Duty, Medium Duty, Heavy Duty, Extra Heavy Duty, Thread Milling Machine, CNC Thread Milling Machine, Roll Turning Machine, Roll Grinding Machine, All geared type Lathe Machines, Special Purpose Lathe Machines.